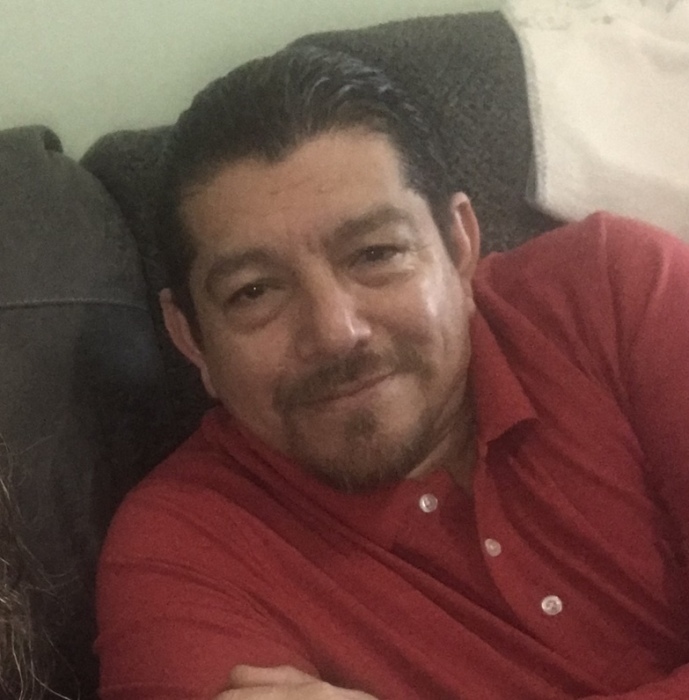 Mr. Carlos Tejada, age 48, of Chatsworth, passed away peacefully Thursday, April 11, 2019, in Hamilton Medical Center in Dalton, GA. He was born September 16, 1970 in Veracruz, Mexico.to Celestino Tejada and Maria del Carmen"Hernandez" Tejada. He was married to Sarah Cross Tejada on February 15, 2002. They have 3 beautiful children who were the light of his world, Carlos(Alex) Tejada. Samantha Tejada and Cristian Tejada all from Chatsworth. He worked at Engineered Floors as a department supervisor for 9 + years. He was loved and respected by his coworkers who will miss him dearly.. He came from Mexico 20 + years ago and worked hard to become a U.S. Citizen. On October 5, 2018 his goal was achieved and he realized that dream. Carlos truly lived life to the fullest. He enjoyed spending time with family having cook outs and being the "grill Master". He was an avid soccer fan and enjoyed going to watch his son, Alex, play for his H.S. team. He was a wonderful and loving husband and an amazing father. He always put his wife and childrens' needs ahead of his own. He worked 2 jobs for much of their marriage simply to ensure his family always had what they needed and wanted. He was an amazing son, brother , brother in law , uncle,and friend. He attended Miracle Deliverance Tabernacle of Riceville, TN. Carlos was well known, loved and respected by so many in the community and far beyond. He is survived by his wife; Sarah Cross Tejada, 3 children; Carlos (Alex) , Samantha and Cristian, dad: Celestino Tijada, mom: Maria del Carmen Hernandez , brother Eloy Tejada, and sister: Elizabeth T. Arostegui, all of Dalton, sister: Lourdes Tejada of Veracruz, Mexico, and numerous nieces and nephews whom he loved so very much. Funeral service for Mr. Tejada will be held on Sunday at 3 pm in the chapel of Shawn Chapman Funeral Home . Interment will be in Center Valley Cemetery. The family will receive friends on Saturday from 5 until 9 at the funeral home.